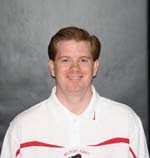 BELMONT — In the first two years Stephen Miss has been head coach of Belmont Abbey College’s basketball team, the Crusaders have exceeded preseason expectations. As his third season begins Tuesday night at home against Brevard, Miss and his team are hopeful of repeating the past. Losing three starters will make it more of a challenge, especially since two of them were guards Deonte Murphy and Jonathan Jackson. But Miss says he and his team welcome the opportunity to defy what they consider low preseason projections. To read the rest of the article from the Gaston Gazette, click HERE.